A temporary restraining order, commonly known as a “TRO” is used in family law to place injunctions without a full hearing on one or both parties. These injunctions prohibit specific actions that could endanger or prove damaging to the property in a divorce or the children of a divorce. You should have an idea on what the process entails. A TRO is governed by Texas Rules of Civil Procedure Rule 680 and Texas Family Code § 150.001. If your spouse wishes to file a TRO that immediately excludes you from possession of or access to your children, a notice of this hearing must be given to you prior to the court date. The only exception to this is an Ex-Parte meeting with the judge, which means that only your spouse or her attorney will be present at the preliminary hearing. The judge may order a TRO Ex-Parte only if the TRO clearly demonstrates from specific facts shown by affidavit or by a verified complaint that immediate and irreparable injury, loss, or damage will result to the applicant or children before notice can be served and an actual hearing. If you are on the receiving end of TRO and it prohibits you from access to your children, there are some things to keep in mind. First: a TRO has a time limit, which is 14 days. After 14 days the TRO may be extended by a judge only once for an additional 14 days. Thus at most this TRO may only last 28 days’ absent agreement to an additional extension. A Judge does have the discretion to extend the TRO more than once if it is uncontested (you do nothing or do not appear). Second: A TRO is NOT a Protective Order. This means that the police cannot kick you out of your house or forcibly arrest you for violating a TRO, absent any related criminal conduct. There are consequences for violating the TRO but not criminal consequence. You may be found in contempt of court by the Judge who ordered the TRO and forced to pay fines or be held to more severe sanctions. Violations will not be good for your case if you intentionally violate. Third: A TRO must have a signed and notarized Affidavit or a verified pleading attached to the motion. If the opposing counsel did not follow these procedures the order may upon motion to dissolve be found void due to violation of the Texas Rules of Civil Procedure. Fourth: You cannot practically appeal a TRO because it may only last for at most 28 days, if contested. Once you are served with the Ex-Parte TRO, you may request a motion to modify or dissolve the TRO after giving your spouse 48-hour notice and seek attorney fees if the filing was false or frivolous. TRO’s are civil injunctions that are usually given without notice only if immediate and irreparable injury, loss, or damage will happen. 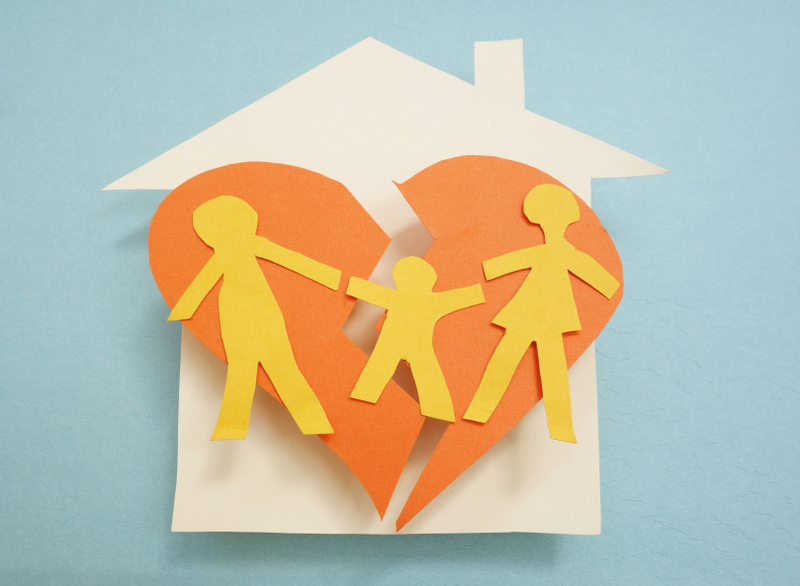 The proof rules are more relaxed in Family Law Cases. Specific TRO procedures can differ in all counties and in different courts so make sure the check online the rules of each specific jurisdiction. TRO’s only last 14 days and cannot be enforced by police officers, absent related criminal activity. Do not be distressed if you are served a TRO one day while you are battling your spouse for child custody or property. Take a deep breath call your attorney and set a hearing to modify, vacate or dissolve the TRO. Many counties have standing orders that issue and are effective as to both parties upon the filing of a Family Law Proceeding. Read such mandatory orders before you file your case.